Hi friends! Karber is a proud sponsor of the Labor of Love Halloween Hop! A group of talented ladies made Halloween banners that will be donated to the special needs children who reside at Pediatric Specialty Care in Point Pleasant (Bucks County), PA. This is a 4 day hop. Today is the second day, check out Ellen's blog over at Card Monkey to see all the details about it. What a good GHOUL you are for sponsoring the Labor of Love Halloween Hop this weekend! Thanks so much! And THANK YOU for being one of the Hop's fine sponsors!! You ARE a good ghoul, indeed! I'm just swinging by all of the blogs on tomorrow's Labor of Love Halloween Hop, to both check my link, as well as to remind you that your post should be up by 6 a.m. Eastern (3 a.m. Pacific) on Sunday, at the top of your blog. Please be sure to include the link after you, and double check to make sure the link is working. THANK YOU AGAIN for participating in this fun hop -- it's an honor to have you hopping with us! Please be in touch if you have any concerns or problems with the Hop ... and thank you again and again!! What a good GHOUL you are for sponsoring the Labor of Love Halloween Hop, happening today. I have loved the projects I have seen so far today. Thank you for being one of the sponsors. 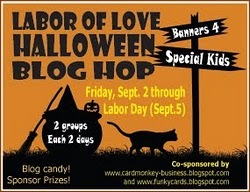 What a great GHOUL you are for being a sponser for the Labor of Love Halloween Hop. 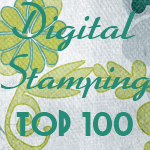 I'm just stopping by for day four of the blog hop. Thanks for being apart of this hop. I just know the kids are going to love each and every one of these banners. You are a good ghoul for sponsoring and sharing in this wonderful hop!